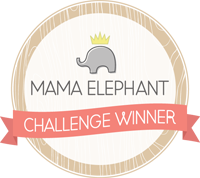 Popping in to share my take in A Blog Named Hero, Challenge #32: Game. Set. Match. 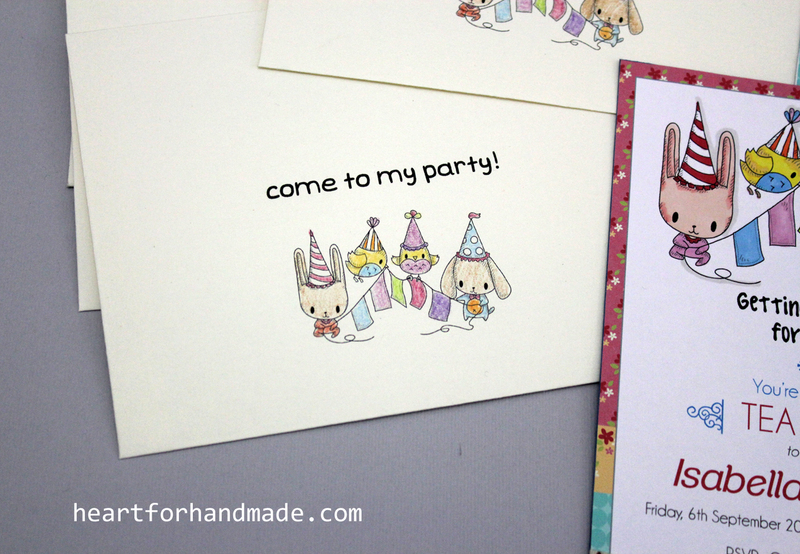 The challenge is to create a new set of 3 or more cards that match exactly or coordinate by theme. I did 3 cards using all papers and stamps from Sarah Hurley. 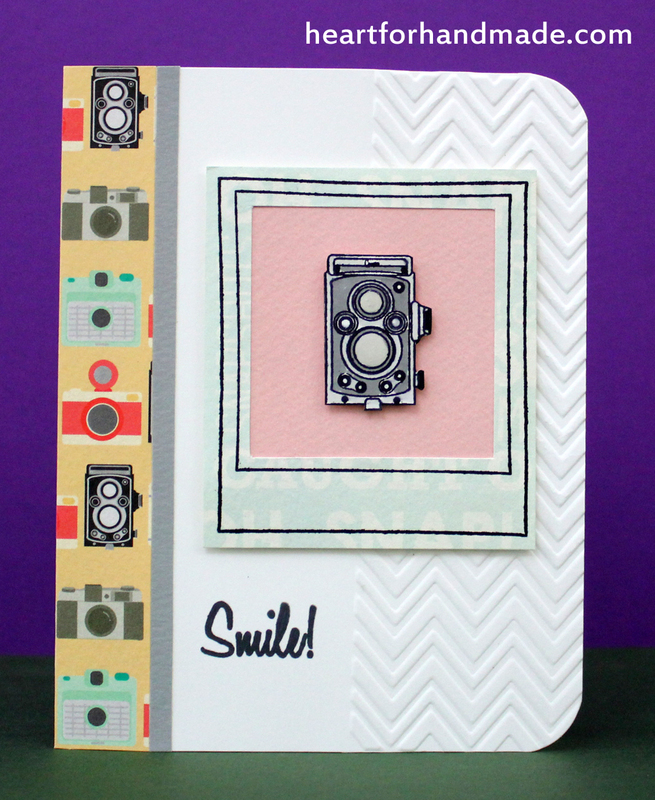 Being a photography lover, I adore all the camera stamps I used in this set. 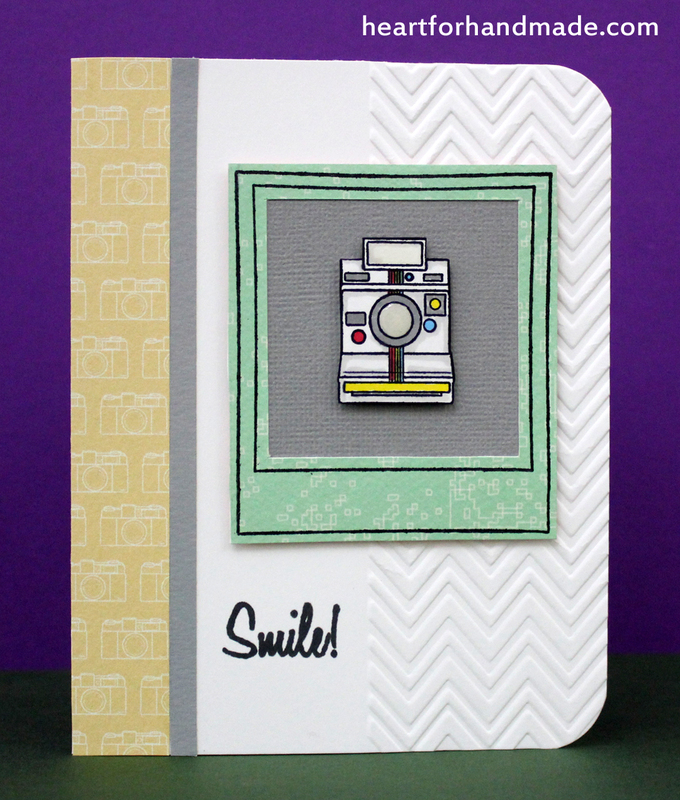 I put glossy accents in all the camera lens for dimensions and did some partial embossing in the right hand of the card. 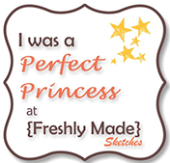 This week I’m using both Jordy and Candace from Chi Chi Memories, Party Time digi stamp set. 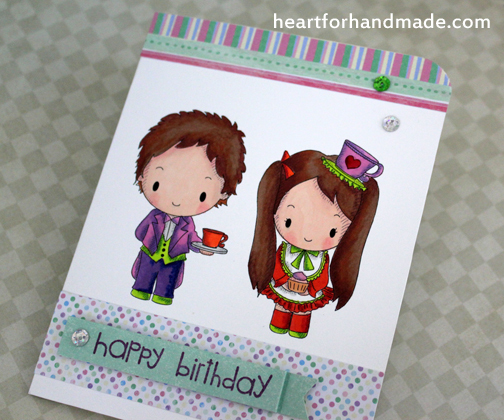 It’s the 20th of the month and this means another card sketch challenge at Sketch N Scrap blog is now up. 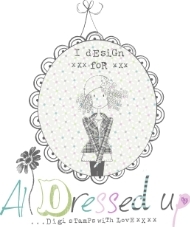 Its card Sketch # 10 designed by the wonderful Lisa Hildy. I stamped the images and fuzzy cut each of them. The papers are random ones from Lawn Fawn and Echo Park. My embellishment, the all time favorite, twine. I’m entering this card to Seize the Birthday challenge, Anything goes birthday. It’s another Digi Monday and this week I’m using Jordy as my main character for a birthday card. Jordy is part of Chi Chi Memories Party Time digital stamp set. You can find more about him and his other friends in Chi Chi Memories blog. The set is September’s newest digi kit release. 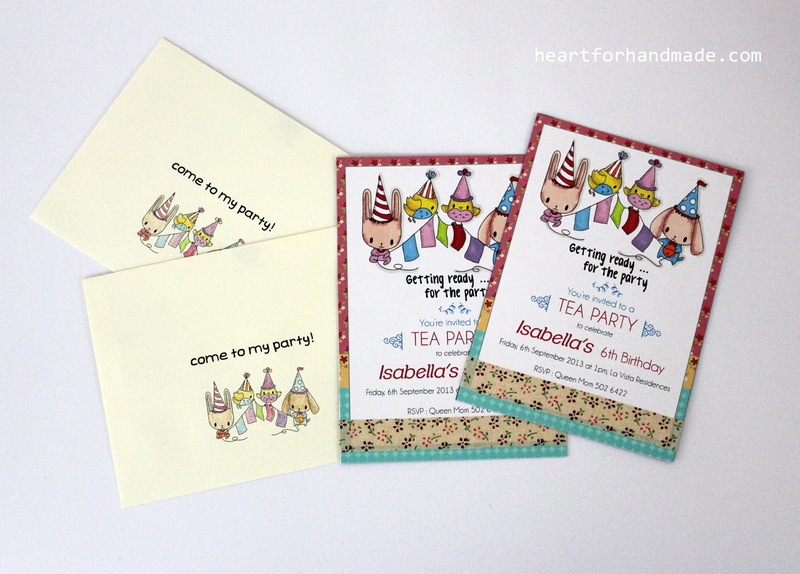 You can find the two other projects I did using this month’s release set, party group invitation and Candace. 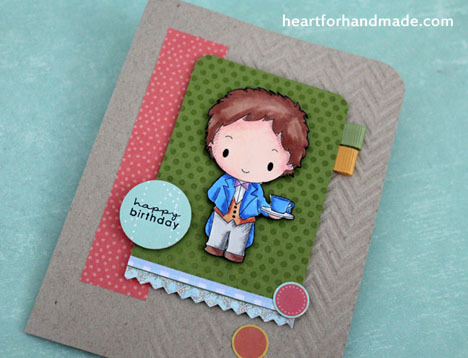 I used a kraft cardstock, and did partial embossing in the right section of the card to add texture. I colored Jordy with promarkers and used minimal embellishment, ribbon, punched circles and zigzag cut strip. 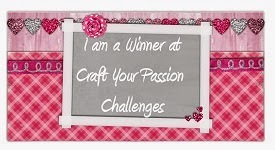 This card will be entered to Sisterhood of Crafters, Devine Digi’s. 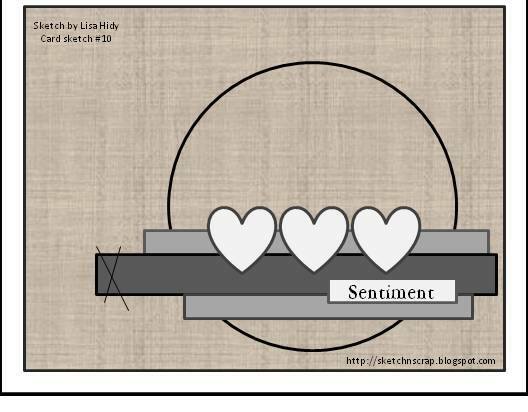 The challenge: To use a digital stamp to a project. Also entering in Through The Craft Room Door, Anything Goes challenge. 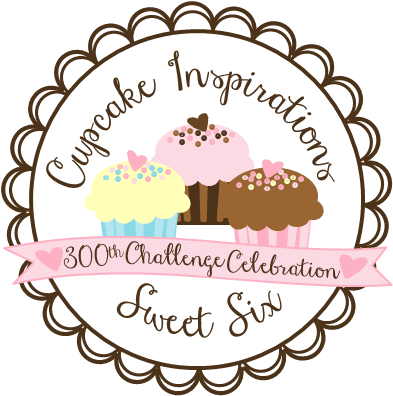 A super quick post to share my take in this week’s card challenge for two of my favorite challenge sites. Since I had the chance to sit down for a while, I did a card for Freshly Made Sketches # 103 challenge. 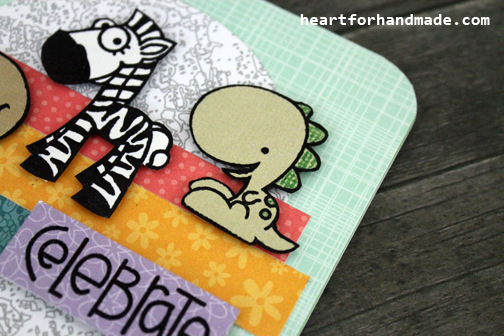 This time a hybrid card using Sarah Hurley, Book Worm digital scrapbooking kit. 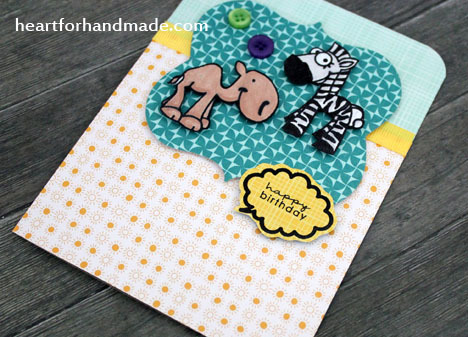 I specially love the papers on this collection, just fit for a back to school theme card. 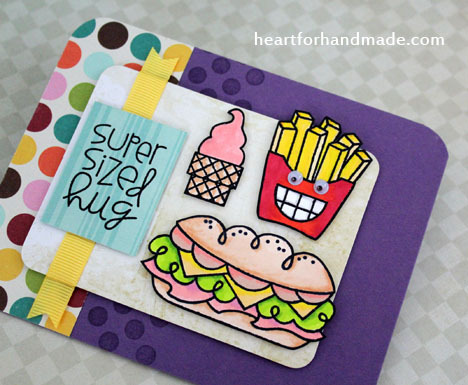 I’m also entering this card to CAS-ual Friday Back to school challenge, CFC 114. 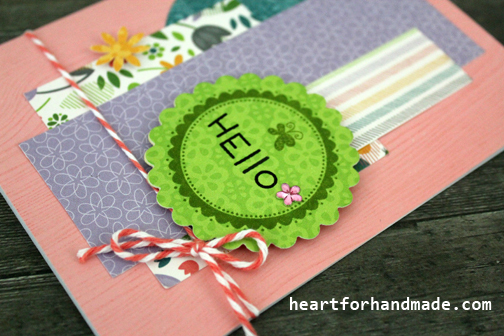 Popping in to quickly post this card for Paper Smooches, Designer draft challenge for September 9-15. I used the horizontal layout for my take. 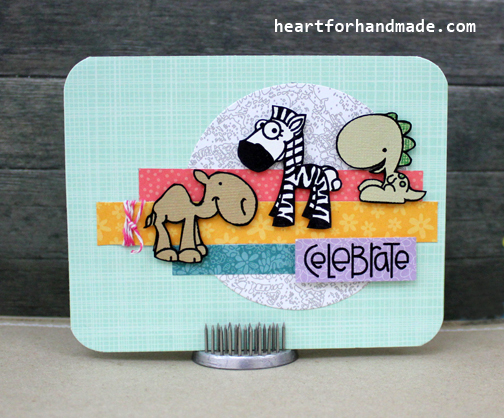 I used Paper Smooches, Think Fast stamp set and Geo-Graphic’s polka dot border stamp. For the main images, I colored them with promarkers. The stamps have coordinating dies but I don’t have them so I fuzzy cut each images and popped them with dimensional foam. For the fries, I added googly eyes just for fun. Entering this card to Paper Issues, Food for thought. 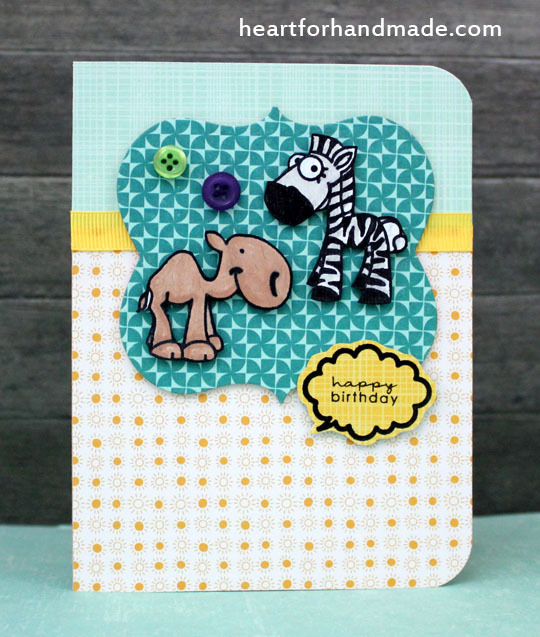 I have a camel & zebra stamped and colored from Paper Smooches, they were supposed to be used in another project but have later changed my mind so I ended up keeping them for later. I had some time over the weekend to whip up another card and it just such the right time to use both images. 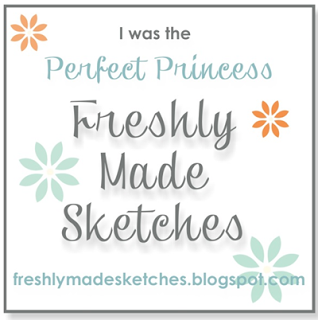 I used the bubble speech from Sarah Hurley and a sentiment from Papertrey Ink. I added some buttons, ribbon and patterned papers and voila! a happy birthday card. 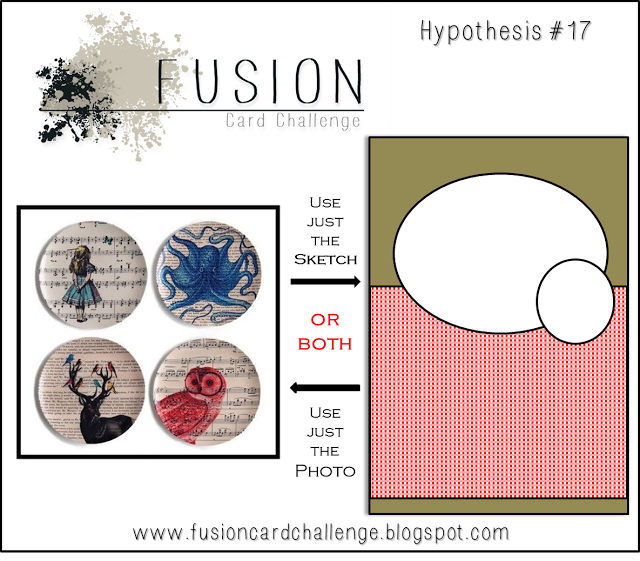 I decided to play along with Fusion Card Challenge, FUSION #17 using their card sketch and Simon Says Stamp, Animal Antics challenge. 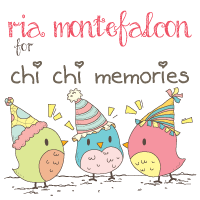 It’s my second ‘Digi Monday‘ project and I’m so glad to share my take in this week’s continuation of Chi Chi Memories digi that I also used last week, the Party Stamp – Digital Stamp Set. I colored Candace with promarkers and fuzzy cut. 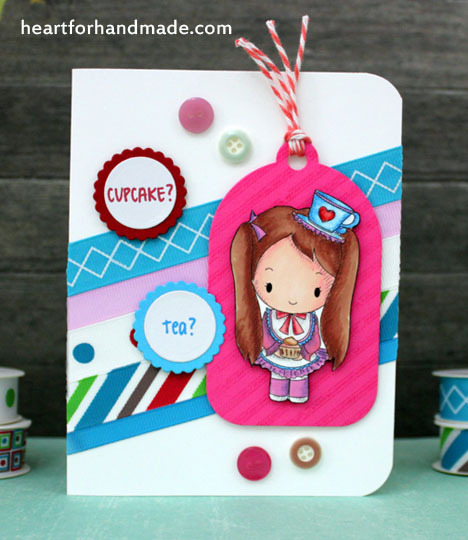 I popped her in a die cut tag with some background stamping. I have colorful roll of ribbons in my stash, most of which have been used in a project or two. 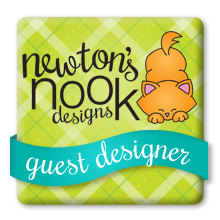 I added these ribbons in diagonal strips for a fun background color as well. 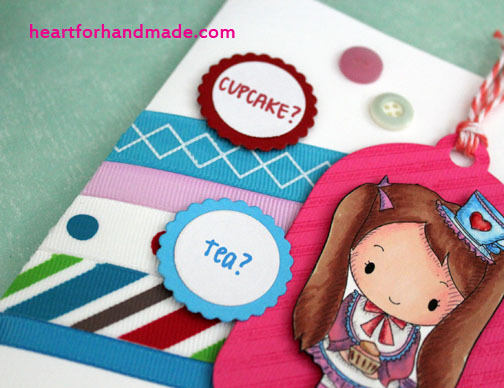 The Cupcake & Tea were printed and popped also with a die cut flower shaped for some added texture. 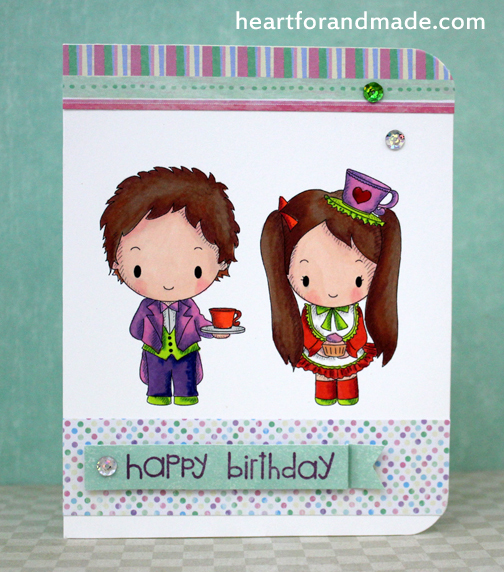 Yesterday was the start of another card challenge at the Sketch n Scrap blog. The first month’s sketch, card sketch # 9 is from the very talented Kelly. 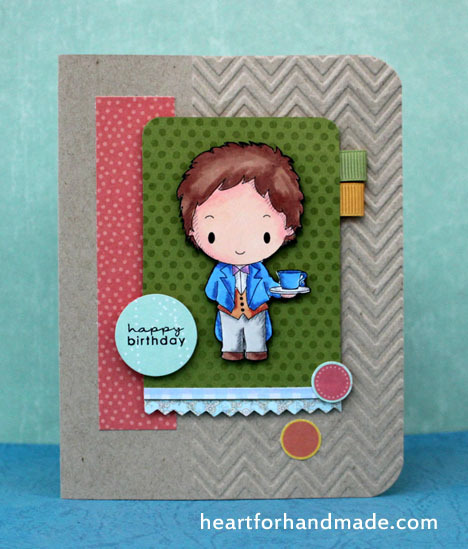 I had to play with Lawn Fawn’s paper pack and just love how everything works together on this card. 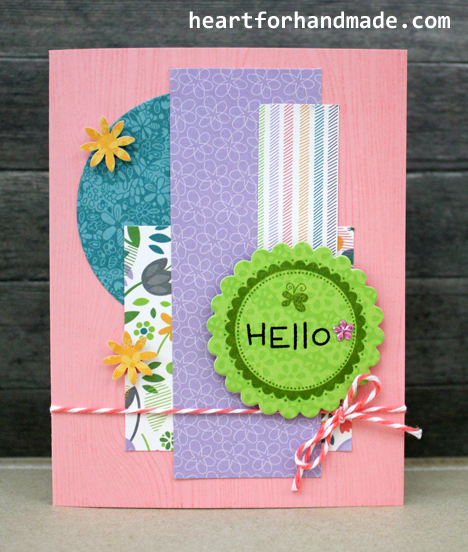 The wood grain background stamp and Hello sentiment + flower bling are all from Hero Arts but the circle scallop stamp is from Papertrey Ink. All are just some of my favorite craft manufacturers. 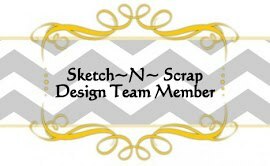 You can go over the Sketch N Scrap blog so see what the rest of the team’s take. 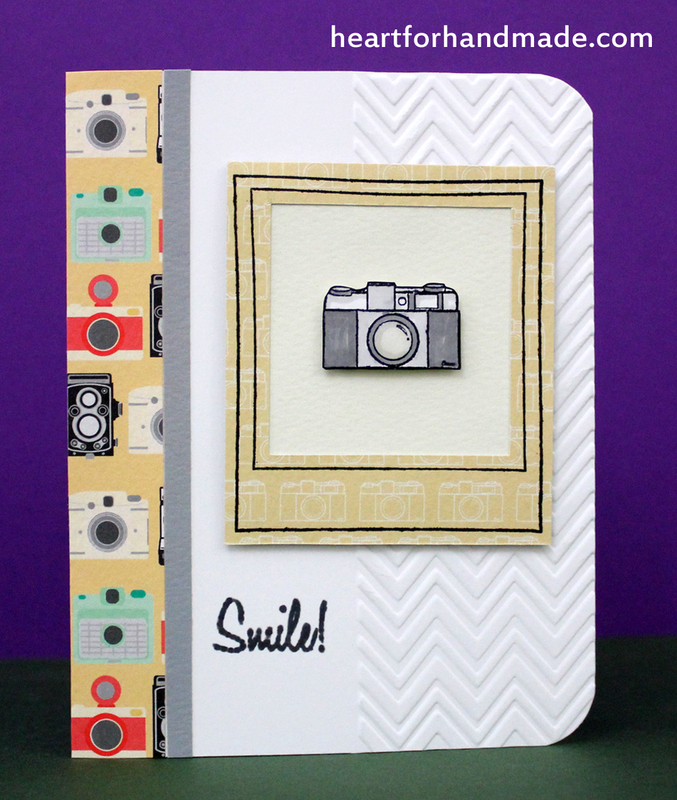 Paper Creator’s Crafts, Challenge # 13 Anything Goes. Recently, I’m looking on ways to improve my blog. 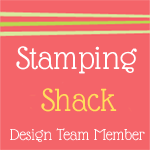 I’m considering a scheduled project post from digi stamps, to stamps, to sewing. 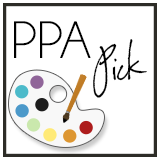 It will be a weekly highlight on project/s that I did for the week. Or it can be a digi project I’m currently working on that I will soon share in a Monday. 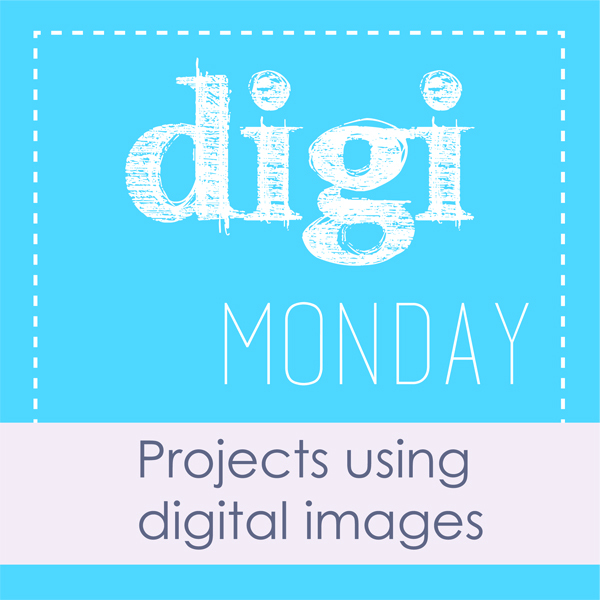 I will be calling the digi projects as Digi Monday as I’ll be focusing in digital projects as such. I did a badge for this digi weekly round-up. 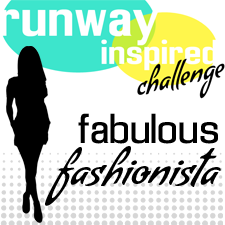 On another note, I’m so happy to share that I will be a guest designer at Chi Chi Memories from September to October. 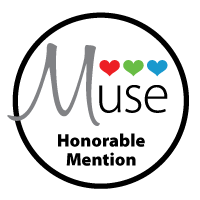 I specially love their cute and adorable digital images that you can use in cards, invitations, tags, scrapbook page and other craft projects. There will be a monthly digi release (every 1st of the month) and I’m starting off my take by using this month’s new release called Stamp Set – Party Time. 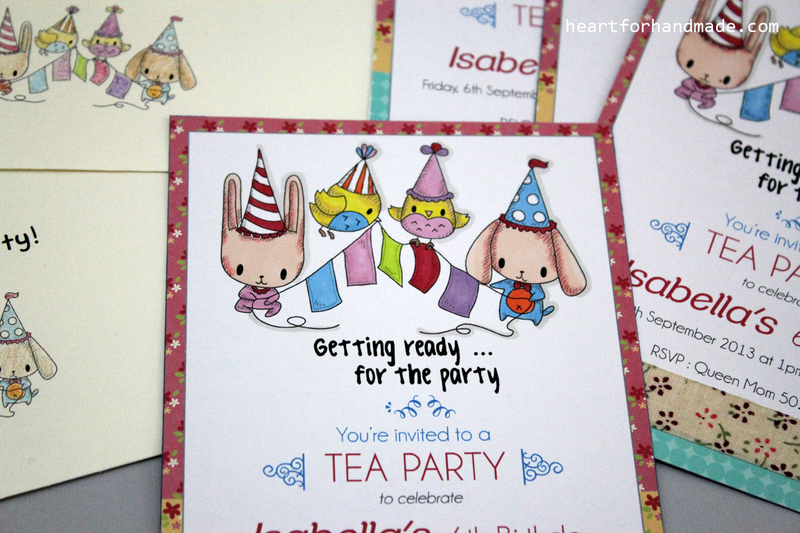 I used the cute ‘party organizers’ as my main characters in a tea party invitation. 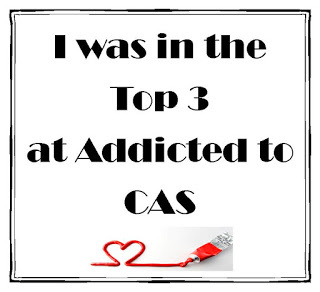 I did the layout using Illustrator but it can also be done using Word doc. I colored the images using promarkers. 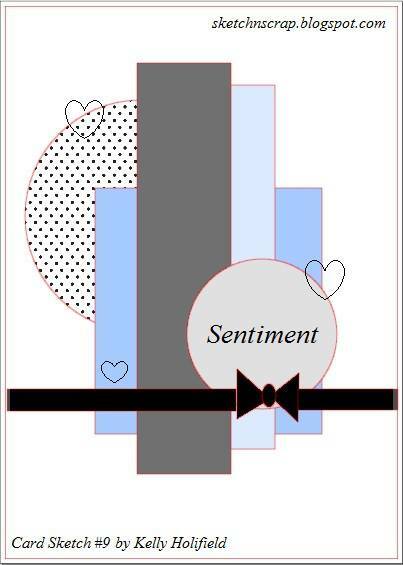 For the envelope, I resize the same images and printed them in the envelope. As the envelope is thinner than cardstock, I colored the images with colored pencils. 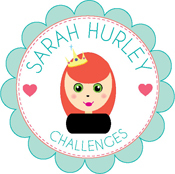 The colorful borders were from Sarah Hurley’s All Sewn Up! digi scrapbook kit. You can visit the Chi Chi Memories blog for more inspiration.